Mattress Cleaning in Oakville & Burlington is our expertise! You should never underestimate just how important it is to sleep every night on a clean, sanitary and allergen – free mattress. Our company is here to give you a helping hand and to make your nights a lot more comfortable. Most people are not aware just how many harmful microorganisms a mattress can gather in time. In other words, even if your mattress looks clean, there are undoubtedly a lot of allergens, dust mites and other harmful things lurking around. Anything from pet allergens, blemishes and unpleasant odors can result in you having a poor quality sleep. Thankfully, you can count on us to give your mattresses a complete makeover so that you and your family can enjoy the most restful sleep possible. You will no longer have to worry about allergens, dust mites or harmful microorganisms disrupting your sleep. On top of that, getting rid of all these toxins and pollutants will have an amazingly positive impact on your health. You will, therefore, avoid any respiratory and even skin problems that might be caused by having an unsanitary mattress. This is obviously the ideal scenario, especially for families with children, who want them to be as healthy and as well – rested as possible! You can now rely on our innovative and professional mattress cleaning process. We guarantee that once we are done with your bedding, you and your family will all have a restful, undisturbed and peaceful sleep throughout the night. This part of the process comes in two steps. First off, we make sure to take the bed apart and vacuum every single corner, including the bed frame. We will make sure that not even a speck of dust gets left behind. The second step is to apply a professional and highly effective cleaner to the mattress. This is done with our industrial steam cleaners, because there is nothing that can get germs and bacteria out better than steam. Additionally, steam is ideal for getting out any stains and spots. At the end of this professional cleaning process, your mattress will not only look, but it will also feel and smell incredibly clean. You can rest assured that there will be no microorganisms, dust, dust mites or any grime or dirt to cause you any kind of problems. As we have mentioned before, there are a lot of unpleasant microorganisms living inside of your mattress. Unfortunately, some of them can cause severe allergies. 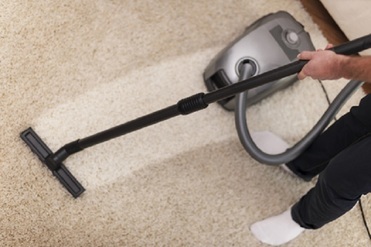 If you are confronted with such an issue, then your hypo – allergenic cleaners and environmentally friendly products are certainly the best solution for you and your family. We guarantee that you will no longer have to deal with allergies or allergic reactions! No matter the type or thee size of your bed or your mattress, you can always count on us to provide you with the highest quality mattress cleaning service available in the area. All you have to do is give us a call and we will be there to help you out! Carpet Cleaning Oakville provides the best carpet cleaning services in Oakville and surrounding areas. Whether you're in Oakville, Carpet Cleaning Burlington, Carpet Cleaning Brampton, another nearby town, we are just a click or call away! Please call us to see if we can service your area.